Feeling a way through … is an invitation to participate in the work of art. 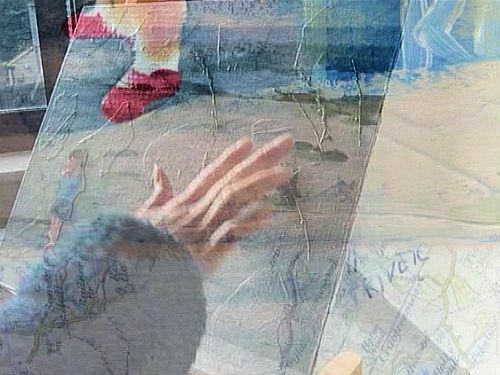 In a shared exploration of paintings and video made during the artist’s ongoing project of making sense of climate change responsibility, you will share your readings and responses to the artwork – through reflection, conversation, dialogue. Come and feel part of it. Tuesday 17th December at 12-1pm or 2-3pm, Alec Clegg studio, stage@leeds. This entry was posted in News, PhD by Carole. Bookmark the permalink.